We explained Robotic Process Automation before. 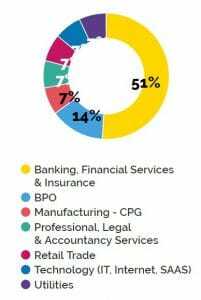 RPA has a fancy name and >50 solution providers, however few people I have spoken to could pinpoint exact areas where RPA can be applied. Every business needs to sell to survive. issues in the operations side of selling can result in customer complaints or selling at reduced prices due to clerical errors. Automating complete sales operations process eliminates these errors and provides fast service to your customers. Since automation processes sales faster than manual processes, customers will receive invoices earlier, leading to earlier payments and improved cash flow. This can also be simpler process to automate since it mostly relies on company’s structured data to generate invoices to be sent to customers. Since procure-to-pay process involves extracting invoice and payment data from multiple systems like enterprise resource planning (ERP), customer relationship management (CRM), banks, vendors, logistics companies and since not all these systems provide easy integration methods they generally involve some form of manual labor. RPA bots can fill integration gaps. Since they work on the front-end, they can provide an easy way to automate integrations. With a fully automated procure-to-pay, you can ensure that procurement best practices are followed and there’s a single source of truth for all transactions. Most B2C businesses have a customer onboarding process that is critical to reduce churn and get customers to start using the product. Using OCR and cognitive automation, most customer onboarding actions can be completed instantaneously even in companies that rely on legacy systems, greatly improving customer experience. Workfusion’s case study explains how they achieved Straight Through Processing (STP) in a major bank’s customer onboarding process and reduced onboarding time from 20 days to 5 minutes. Legacy systems still perform critical functions at companies. For example legacy billing systems need to interface with other systems and such systems may not have the capability to pull relevant data from APIs. In such cases, employees manually migrate data using formats like CSV. RPA can prevent such manual labor and potential clerical errors it brings. Furthermore such systems that keep data up to data enable improved analysis and decision making. We are living in a day when even marketing has 5000 applications to choose from. RPA can help integrate applications and allow for more holistic analyses. Most departments including HR, customer service and marketing routinely need to update customer/personnel data which is constantly changing. Setting up bots for auto updating relevant data from forms or email can ensure that departments can access fresh and correct data. Screen scraping, OCR (Optical Character Recognition) and basic pattern recognition technologies enable data extraction from almost any format, reducing the need for keying in data. Every business requires regular reports to inform managers and ensure team are aware of their progress. Preparing such reports and sending them over every week or month is not labor intensive but it distracts employees. RPA solutions can easily auto-generate reports, analyze their contents and based on the contents, email them to relevant stakeholders. For example, a report of a telecom operator showing areas with connectivity issues has different recipients based on its severity. CTO should be copied in reports with criticial issues and head of network should be copied in reports with major issues. RPA bots can analyze reports to modify recipients according to provided criteria. Mass emails relying on data from multiple systems are painful to produce manually. Especially if you are sending them frequently, consider automating the process. Leads arrive through a myriad of channels such as Linkedin, lead collection forms and vendors. Argos Labs shares a simple example of how they automate nurturing leads from Linkedin in their RPA+ Assistomation video. Though sales personnel should be focusing on building relations and selling, in most organizations most of their time is spent on operational activities. This is a case of data replication. 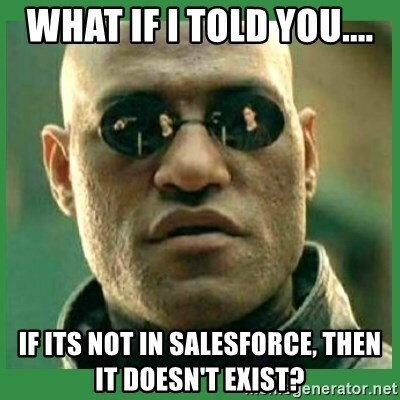 Same sales data needs to exist in both CRM and accounting systems. Instead of manual data replication, bots can update accounting records, prepare and deliver invoices from the right email accounts. There is an emerging class of solutions that allow companies to integrate their email, call and other communication data to CRM. If you can not find a good solution for the CRM system you are using, you could write a simple bot to update your CRM records with customer contact data. 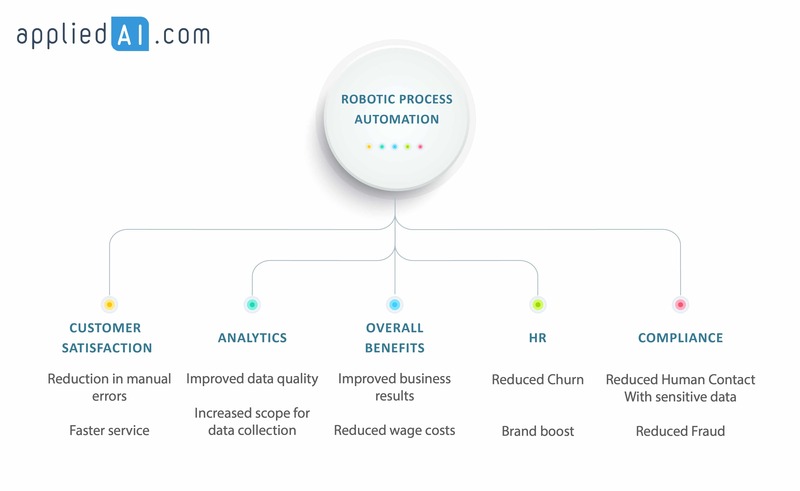 Companies that lack integration between HR and CRM systems can leverage RPA bots to ensure that changes in CRM are uploaded to scorecards so sales reps can see their progress real time.. Customer contact centers rely on a number of different systems provided by a variety of vendors. Level 1 contact desks mostly process a high volume of simple repetitive tasks, an ideal match for RPA. A customer rep needs to understand the customer’s intent, perform the necessary actions by switching between different systems and applications and inform the customer. This has several disadvantages, customer needs to wait while the rep is busy dealing with data, sometimes asking for information that had been asked before. This reduces customer satisfaction and increases call duration. It’s one of the rare examples of a company wasting its resources while creating dissatisfaction for its customers. Customer rep can launch a bot whenever several pieces of data need to be synchronized across systems. With the press of a button, the bot completes all actions in miliseconds. 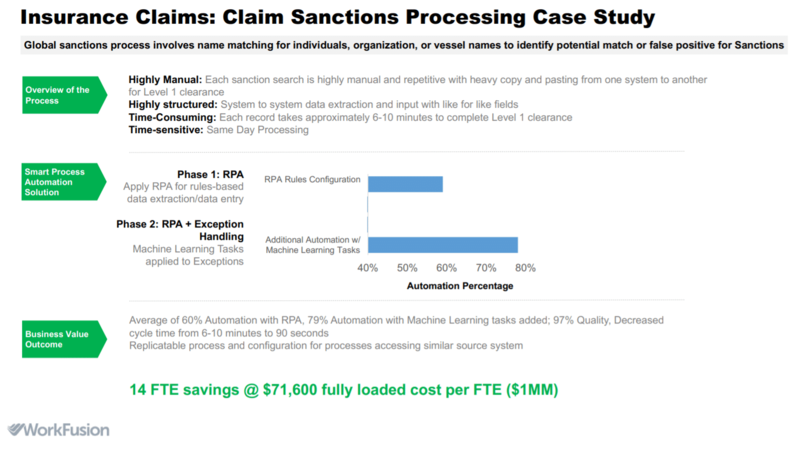 This is a simple RPA implementation that can be programmed within hours and create value quickly. A dashboard can be created for common queries. Customer rep will fill the necessary data to resolve the issues and bots will use that data in several systems to complete the transaction. Such dashboards will require more effort but still are feasible to create within weeks for most common actions. 15- Getting detailed billing data. Whenever you call customer service regarding your most recent payment, you need to stay on the line for a minute or two while the customer service rep scrambles to pull your record and understand it. With an RPA bot programmed to retrieve that data, your payment data can be invoked in seconds with a single click from the rep.
17- Resolving simple but common customer issues. For example, resetting a broadband customer’s connection to the server can fix some simple connection issues. This can be done without switching screens with a simple RPA bot. Some legacy systems force customer service reps to complete numerous steps to complete some common tasks. If these steps do not require human judgement, they can easily be automated, saving significant time. Without increasing automation capabilities, IT support teams can find themselves overwhelmed with simple yet time consuming queries. This not only results in slow service but also demotivates most support personnel who do not enjoy repetitive tasks that do not challenge them intellectually. 19- Regular diagnostics: It’s painful to hear the same problem from multiple people. And that’s exactly what happens when a system has a catastrophic failure. As teams work to resolve the problem, they also need to deal with calls of colleagues asking when the system would be up. Regular diagnostic work by bots puts tech support teams one step ahead of all other teams and lets them respond to possible failures before they can be noticed by regular users. This improves both user satisfaction and saves support personnel from wasting time on calls about problems they already know about. Argos Labs shared a good example on regular diagnostics. A bot regularly checks live camera status to ensure that issues are spotted before they are noticed by users. Almost all customer service or tech support departments have internal tools with advanced functionality. They rely on service reps to use those tools and serve internal or external customers. Especially if those tools are in legacy systems, it is difficult to expose them directly to customers or employees without training. However RPA offers a solution. Frequency of usage of most functionality follows the pareto principle. A few functionality are quite commonly used while the rest are almost never used. 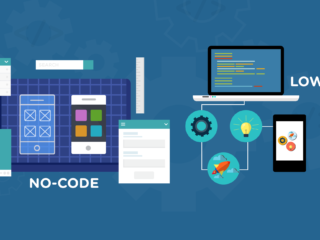 After identifying the popular functionalities of an internal tool, it is possible to write simple web interfaces that complete those functionalities with the help of bots. This saves users time while reducing burden of support teams. RPA can enable single click installations of complex systems with interdependent components. RPA tools evolved from testing tools that mimic user interactions. While tests can be built into software, it is important to test from a user perspective. Such tests are time consuming when performed manually. However, they can be lightning fast when they are automated. Common test scenarios are automated with RPA tools and these tests are run after every version, ensuring that new bugs are not introduced to the code. Obviously, more creative manual tests are required based on the specific feature developed in each new version. However, automated testing with RPA tools can facilitate testing and improve software quality. Since these tests tend to be simple, no code RPA solutions are ideal in such scenarios. Financial planning involves the unexciting exercise of processing and merging financial statements from numerous departments in a Financial Planning & Analysis (FP&A) system which can be at least partially automated. Extracting data from bank statements for reconciling records and comparing them against the company’s own records was manually done via complex spreadsheets. However, this is a process that can relatively easily be automated. An important point to pay attention to is that rules based automation could break when company changes the banks it is working with. It is best to test initial outputs of the bots after your company changes its banking service providers. Large financial services companies, especially those in the trading business, track P&L and risk exposures daily. While some companies have automated these processes, there are still companies that rely on excel, legacy tools and manual effort to complete these reports. UiPath reports that they worked to automate daily P&L preparation for a financial services company. Resulting RPA installation reduced handling time from 60 minutes to 20 minutes, increasing accuracy of reports. This process includes numerous routine steps such as arranging interviews, maintaining records. UiPath provides a case study where they rolled out an automation program in 8 weeks, reducing 40% of the manual labor. Especially for growing or shrinking firms hiring and firing brings significant burden on HR and other support functions like IT, security, facilities management. While it is costly to build a solution that encompasses all these functions and completes the necessary tasks for new or leaving employees, RPA bots can be deployed relatively fast and effectively. Automating part of the process and measuring its progress on the RPA bot management module brings speed and transparency to the whole process. An Argos Labs case study shows how adding new hires to the myriad of tools used by modern companies can be simply automated. A UiPath case study highlights how they reduced onboarding time from 30 minutes to 3 minutes with a scalable solution. Payroll function requires repetitive processing of payroll taking into myriad regulations and company rules. While modern payroll software provides a good solution for this process, some companies rely too much on legacy systems to be able to make the switch to a modern payroll software. They can rely on bots to increase automation in the payroll management process. A case study from UiPath claims to have achieved 85% faster payroll processing with no manual errors. Implementation took 7 weeks and reduced manual effort to 25%. Your personnel will be notoriously bad at recording their absences and vacations. Personnel can be genuinely confused about or unaware of the absence management system. Second, they will not want to learn or remember how to use the system because once they do that, they will be required to fill in all their absences and no one wants that. The problem is that while it is not ethical to hide someone’s absences, it is also not a major crime like embezzlement. It is something that can easily be forgotten by the absentee, therefore easily forgiven. Easiest solution: Let people decide their vacations as long as they get their work done. It’s called unlimited vacation policy and could increase autonomy of your team while saving them a lot of bureaucratic hassle. Slighly harder solution: Set up a simple RPA bot to cross check absentee reports against time logged in the corporate network and let your teams fill in the absences they had. You could also use another simple bot to simplify filling in absence information so your personnel does not forget to notify the system when they have an absence. A real life example is provided by UiPath. They rolled out automation for handling sick certificates in SAP in 3 months for a German HR services provider. 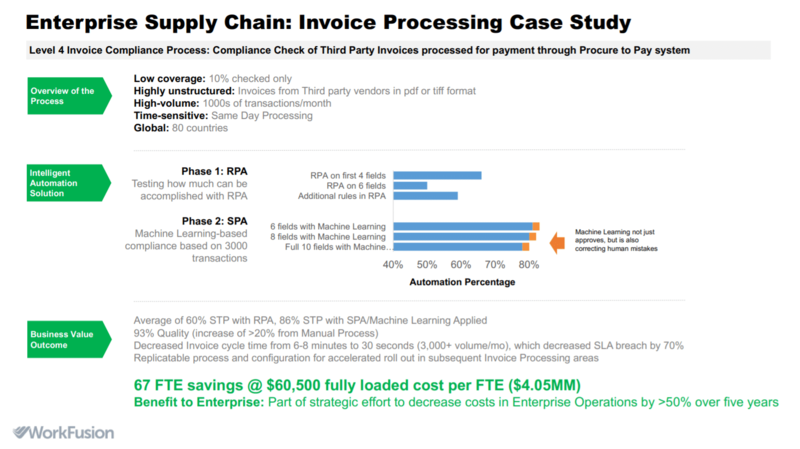 RPA roll-out reduced manual effort to 5% of pre-automation levels and reduced processing time by 80%. As Blue Prism explain in their case study about their work with Walgreens, workers’ absence due to injury or sickness needs to be reported to the claims management service provider to manage worker’s compensation claims. This is a relatively simple and automatable process. Though there are sophisticated dedicated expense management solutions, most companies still use outdated systems that require employees to provide details on their expenses. Most of those details such as expense amount, date or location are already available in the receipts provided by employees. An OCR capable RPA solution can extract important fields from receipts automatically, allowing employees to waste much less time with expenses. This can also save them from carrying around receipts as simply taking pictures of their receipts would be enough to extract the relevant data from receipts and fill important fields in the expense form. Putting all of these services together for employees is also possible. A chatbot that authenticates customers and serves all their HR related needs would help HR departments to focus on higher value added activities. Such a bot could help employees register sick leave and vacation time, request information about their work contract and submit expense reimbursements. LarcAI published a YouTube demo of such a HR virtual assistant. Inventory management typically involves reconciliation across multiple systems as companies find it challenging to bring all inventory management features under one system. RPA bots can automate such inter-system reconciliation and communication with ease. Process of issuing refunds is far less optimized than more frequent processes at a company, leading to significant delays and customer dissatisfaction. This is a concern because customers requesting refunds are already dissatisfied customers and making them more dissatisfied can lead them to share their complaints with others, hurting your company’s image. UiPath worked with a credit reporting firm for 8 weeks to automate parts of their refund process, reducing manual work by 90%. Vendor master file is important to keep up-to-date to ensure that different departments or units can coordinate their spending. Updating such files with bots can relieve procurement professionals from simple tasks to focus on managing vendor relationships. While dedicated KYC solutions are emerging, if your company does not prefer to use one, it is possible to use RPA bots to automate portions of KYC process. For edge cases that require human intervention, case can be forwarded to an employee. In cases where legacy systems are not capable of storing complex limit orders, RPA bots could help. However, this is more of a band-aid case as in the long run, moving to a sophisticated and capable trading system would probably be a good investment given how it could improve trading and reduce the load of traders. To be honest, even in 2000s I was surprised that humans were still keying in trades and engaging in day trading in banks. Given the richness of data and speed of machines, it is very surprising that humans are still working on this in 2018. 41- Same day funds transfers: The co-Operative Bank needs to complete payments using The Clearing House Automated Payment System (CHAPS) which offers same-day funds transfers. The manual process which took 10 minutes per request was automated and reduced to a few seconds of turn around time per request. Process steps include checking for fund availability, performing the transfer to the point where manual authorisation is required without error, charging the customer and notifying the account. 42- Account Closure: For The co-Operative Bank, account closure was lengthy and time consuming. It required the manual cancellation of direct debits and standing orders, transfer of interest charges and the transfer of funds from one account to another etc. Now the system is automated with RPA so customer service agents can complete an electronic form over the phone which is sent to a central mailbox where it is processed by the RPA system with no manual intervention. Trade finance involves multiple parties coordinating and insuring the delivery of goods and payments. Banks and companies communicate through letters of credit and other documents which need to be processed. WorkFusion provides an example where they mostly automated a trade finance application without writing an extensive rule set, relying on workers of the process to train the cognitive automation tool. Manual/inconsistent processing: Claims processing often involves manual analyses completed by outsourced personnel. Changing regulation: No insurance company has the luxury of not accommodating to changes in regulation in a timely manner. This requires constant staff training and process update. These lead to human biases in claims processing which can lead to losses, customer dissatisfaction and lack of visibility in a crucial process. Rules can be changed with regulatory changes, without any need for training, immediately ensuring compliance. After claims are processed, some claims results in appeals which is another process that can benefit from automation. 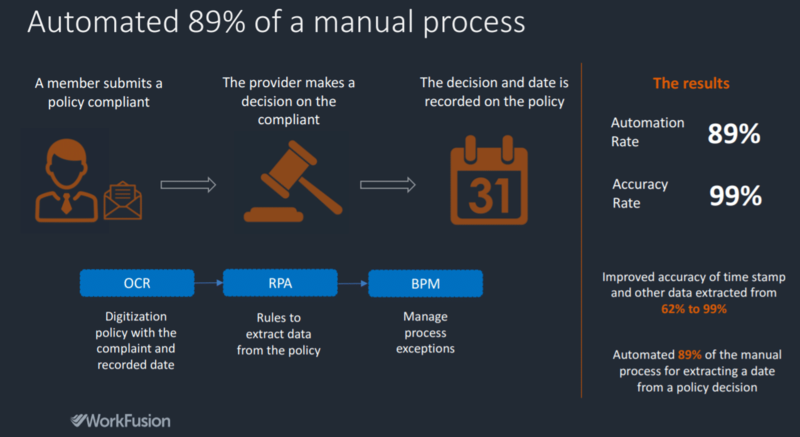 Workfusion claims that they automated 89% of appeals processing with a 99% accuracy rate. Numerous industries such as telecom or insurance rely on independent brokers to sell their products and services. It is crucial to serve these partners in a timely manner to maximize their sales. South African insurance company, Hollard mostly automated responses to partner queries by building bots that interpreted incoming email and resolved simple inquiries while passing complex ones to humans. LarcAI details its implementation at Hollard where they achieved 98% automation and reduced cost per transaction by 91%. LarcAI partnered with UiPath in this implementation and UiPath team details their achivements on this case here. 52 – Porting customer numbers: Customers switching to other operators need to get their numbers ported which can be fully automated. Global retail companies need to harmonize SKU data from multiple markets to be able to look beyond numbers to insights like “What is our toothpaste market share in Eastern Europe?”. Traditionally these tasks required employees to manually match SKUs to categories in complex spreadsheets. Since this is a task that does not directly impact customers, fault tolerance is not very high and RPA bots can be used to automate the process saving thousands of hours of work. 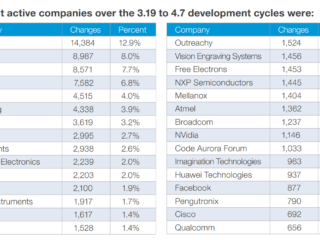 Everest Group’s report provides details on a specific example. To read specific case studies about these RPA application areas, visit our growing list of RPA case studies. the best guide on selecting the right RPA software. Once you choose the RPA software you will work with, we have an in-depth guide for selecting an RPA implementation partner and the comprehensive list of all RPA implementation partners. 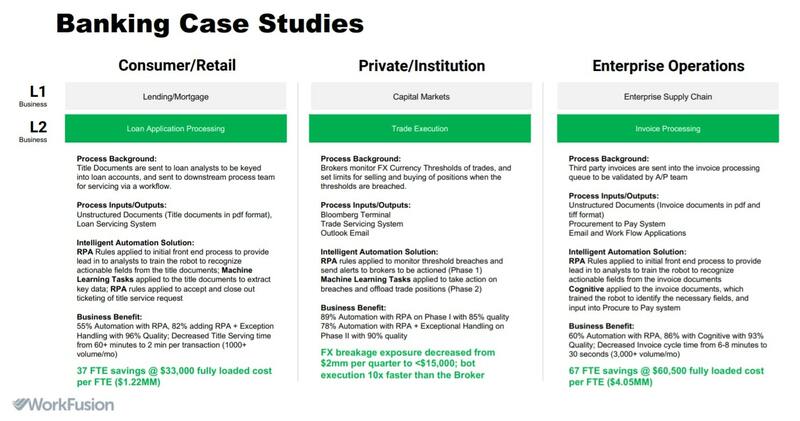 Thoughtonomy’s 6 real world RPA use cases. Very well explained but how so some onde do data validation usgin rpa? Thanks for the valuable information in detailed manner. Can you please let me know if we would be able to use RPA for SQL server jobs automation process. We are using SSIS and in order to load the data in daily basis there are few jobs running now as part of another automation tool. We love this piece. My company is wondering if we could connect to share some of our use cases as well. Sure, would love to collaborate. Reaching out to you from my aimultiple.com email. Infredibly well written blog! I’ve learned many ideas, many thanks for blogging. Have you got a subscriber list I’m able to register for? Infrrd AI(https://infrrd.ai/) takes out the pain of capturing data and extracting intelligence from a plethora of documents, delivering you the information you need without having to manually go over documents one by one. The software basically saves you precious time and effort and you never have to worry about accuracy as Infrrd AI uses the latest OCR technologies and their own AI algorithms to ensure the precision of every extracted data.